Our last post talked about anterior instability of the shoulder especially with dislocations or subluxation events. I have seen this with overhead squats or snatches. What if someone is loose or unstable in different directions? What are the symptoms that can occur and how does this happen? If someone has loose ligaments then they may have something called multidirectional instability. Typically this can occur in females from 20 to 50 years old. Their elbows hyperextend, they can touch their thumbs to their forearms, or hyperextend their finger joints. If you can imagine the shoulder joint being a balloon holding the ball into the socket, people with this condition have shoulder joints that are floppy. What then happens is that the ball moves all around the socket front, back, and inferior or below the socket. While someone like this can swim extremely well because they have so much mobility, they often can have difficulty with some of the Olympic lifts. Their flexibility is an asset when mobility is required, but as we have seen some leopards are too supple. They need to focus on stability vs. mobility. 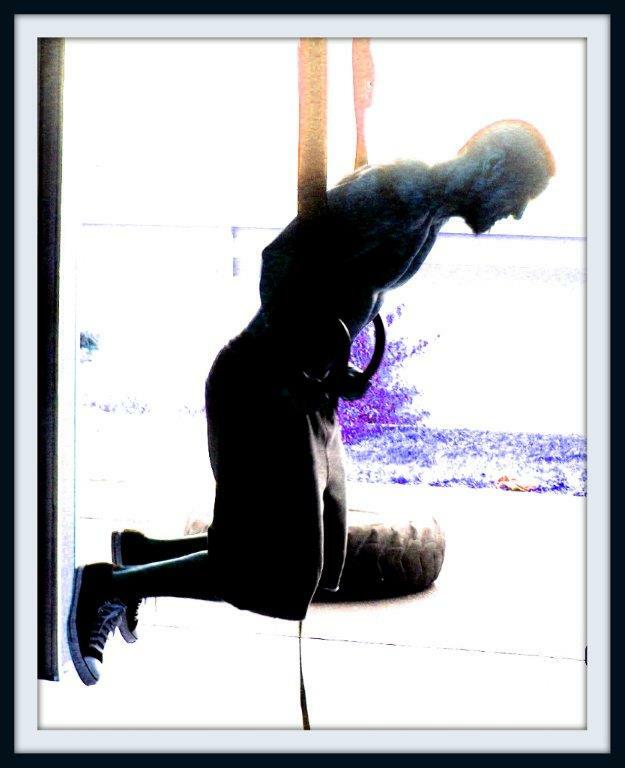 With pull-ups the shoulders rotate and move without restrictions in this type of CrossFitter. However when weights are overhead as in overhead squats, jerks, or snatches, the stability of the joint can be tested. If you can imagine the weights putting pressure from above on the inferior capsule of the joint, the rotator cuff can get stressed and overuse tendonitis can occur. When there is excess mobility, the rotator cuff has to work overtime or extra hard to maintain the ball in the socket. For this reason we have people with multidirectional instability really work hard on scapular stabilizer strengthening along with rotator cuff strengthening. 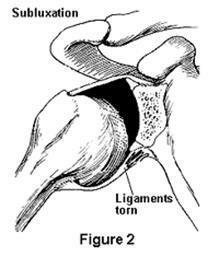 The stabilizers of the scapula or the wing bone are the unsung heroes of the shoulder. 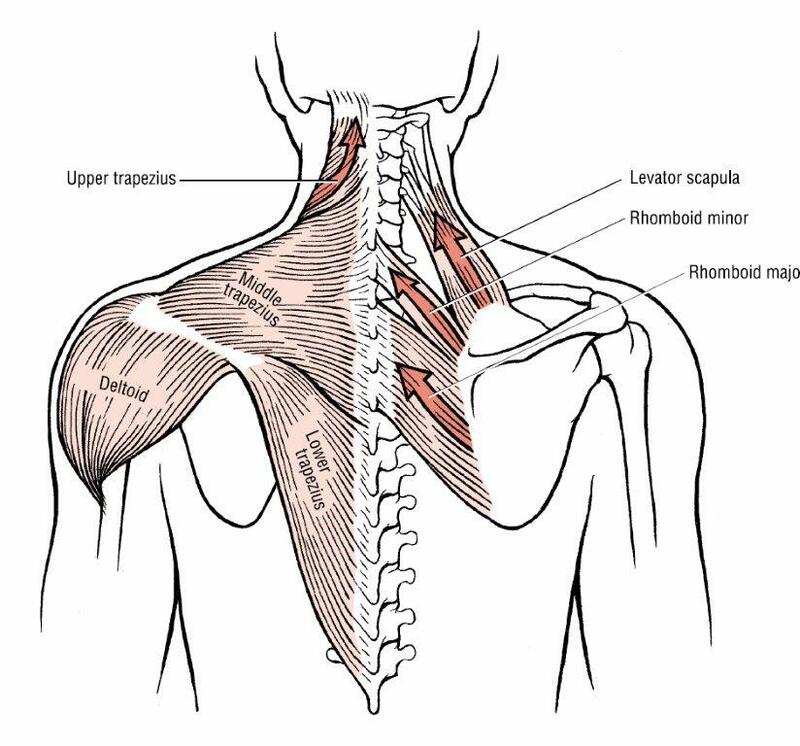 They include the rhomboids, trapezius, serratus anterior, and levator scapulae. You have never heard anyone say, “Today is Rhomboid Day!” Boom! They include different muscles around the shoulder that help keep the scapula locked in place as opposed to winging when called upon. If the strengthening does not work, then you can try capsular plication which involves tightening up the loose capsule. Imagine when you first started CrossFit and your waist size dropped a few and your jeans were loose. 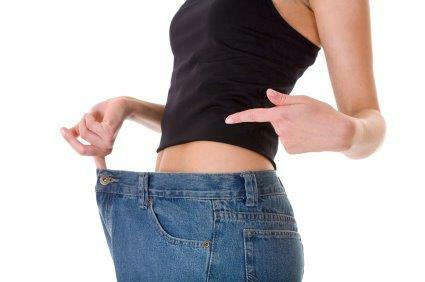 Now imagine a tailor taking in the extra material by over sewing or imbricating the jeans to tighten up the waistband. This is what you do to the shoulder to decrease the volume of the capsule or shrinking the capsule to prevent the looseness of the joint. 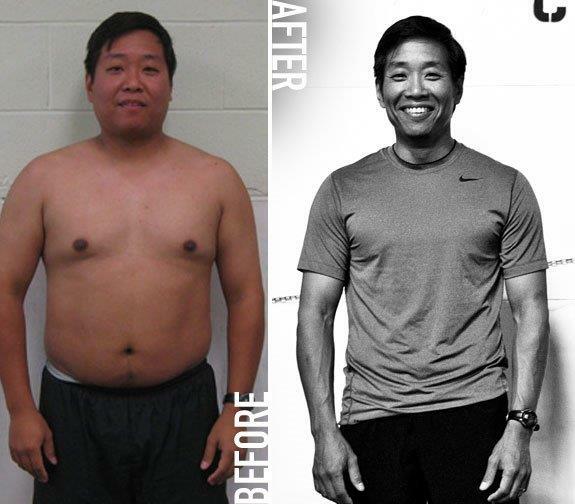 It’s kind of like the Before-After CrossFit photos that you see on the web. Then there is posterior instability. This can occur when someone lands on an outstretched arm or football lineman blocks someone and has his arm pushed backwards or posteriorly. In the CrossFit world, I have seen people with this complain of pain mostly and pinching in the back of their shoulder when they are overhead with weights, benching or during muscle ups. 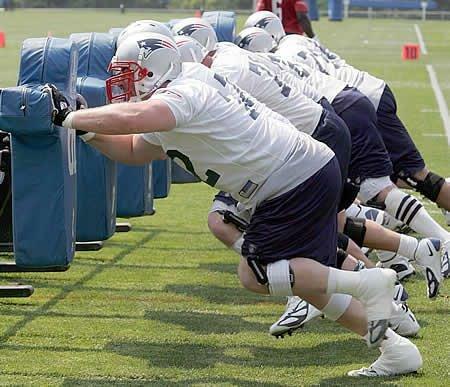 Imagine the force of the weights or their body weight pushing the shoulder out the back. Again we try a stabilization strengthening program, but when things are not going well after trying, I have been able to tighten up the shoulder laxity arthroscopically and make their shoulders feel more stable and less painful while allowing them to return to CrossFit and sports. So in summary ,some shoulders need stability and not mobility. Some are unstable in different directions and need to have that addressed. It all comes down to which way your shoulder goes, and if your shoulder needs attention seek some help and don’t be lax about it. First orthopedic visit – MDI with secondary impingement… 2 cortisone shots and continued with PT…the shots did nothing and one physical therapist commented that we have come as far as we can in the 4 months I’ve been going. Rested shoulder – nothing overhead – no snatches, back squats, nothing. still had pain and finally got an MRI. Results “suspected”Anterior Labral tear. Is it a tear or isn’t it? Saw an orthopedic surgeon and am scheduled for surgery in two weeks but after reading this am thinking that maybe I do just need additional exercises…… what is your stabilization and strength program? Do you give second opinions?